It is already one year, since Michael Jackson passed away in a whirlwind of controversy and surprise. To mark this anniversary, Billboard magazine published a special issue entitled, ‘Rediscovering Michael Jackson’. ‘Say Say Say’ was recorded at the end of 1982 and appeared on McCartney’s second solo LP, ‘Pipes Of Peace’ in 1983. 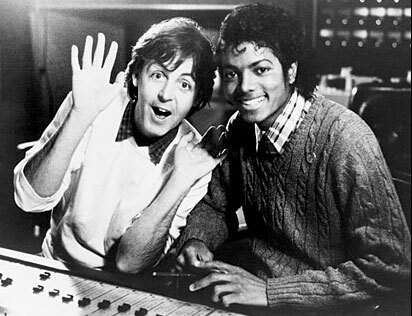 The song was the second time that Mac and Jack worked together, after McCartney appeared on ‘The Girl Is Mine’ from Jackson’s seminal album ‘Thriller’. The song quickly shot to Number 1, became Jackson’s seventh Top 10 hit within a year and the video, featuring the duo as vaudeville performers who peddle a ‘miracle potion’, received a lot of airplay on MTV. Follow this link to play play play a mix of Jackson’s five top-performing songs.